But those La Bohème days are over in the Big Apple — Manhattan and even the outer boroughs are too expensive now to make room for poor dreamers. Which is, no doubt, one of the reasons why Rachel Lyon sets her coming-to-New-York novel in 1991, when it was still just possible for an aspiring artist to luck into a derelict-but-light-filled loft in Brooklyn and stumble along until the city noticed her. Lyon's heroine, a young woman named Lu Rile who has just graduated from art school, is a bit like plain Jane Eyre, minus the moral compass. Lu is a loner who arrives in the city without money or connections — or the charm to make them. She's a woman who wears steel toe boots and cuts her own coarse black hair. When she enters artsy gatherings, she imagines the beautiful people there glancing at her and saying, "Oh, that thing in the corner. Isn't that funny. It thinks it's people." To make ends meet, Lu works three minimum wage jobs — one at a health food store that she shoplifts from to keep body and soul together. The other thing Lu is hungry for is her art: She's a photographer. In her loft in a crumbling factory building near the Brooklyn Bridge, Lu takes a self-portrait a day. When the novel opens, she's about to take No. 400. There was the sky behind the windows, its smooth blue gradient. There was my own pale body floating ghostlike above the floor, midleap, translucent, caught in blur. There on the left, in the middle of the window, balancing the composition, was [a] vertical streak, a perfect counterpoint to the horizontal one that was my body. That vertical streak turns out to be the 9-year-old son of Lu's upstairs neighbors, a boy full of manic energy who ran up to the roof that afternoon and either slipped or jumped. His image, as Lu says, makes the composition of the photograph "perfect": "Falling boy on the left, leaping woman on the right." Lu recognizes that the photograph is great art, a career-maker. It's also voyeuristic, obscene. In the course of the next few weeks, she becomes genuinely close with the boy's grieving mother; she also meets a prominent gallery owner through the boy's artist father. A terrible dilemma looms. Actually, we readers already know what Lu will do, thanks to a preface in which an older Lu tells us that her career was launched because of that photo. By foreclosing the question of Lu's decision, Lyon avoids the contrived quality built into her plot. Instead, the focus here shifts more to Lu's ambition, her tortured rationalizations and the harsh limits of the world she's desperate to climb out of. Above all, as its title suggests, Self-Portrait With Boy is a smart novel about the narcissistic ambition that's needed to succeed, especially in the art world, especially in New York. Late in the novel, a new friend reassures Lu that she did the right thing in publicly displaying that notorious photo. She tells Lu, "You had to do what scared you most. To begin to become yourself." That sounds good until you think about the boy captured in that photo — and his parents. And, then, the artist's hungry claim to remake the world to suit her gimlet-eyed vision collides with an idea of empathy. Empathy doesn't stand a chance. This is FRESH AIR. Rachel Lyon's debut novel captures a time in New York when the struggling artists could still live in the city, finding cheap spaces in old warehouses and factories. Our book critic Maureen Corrigan says that Lyon's novel also mulls over timeless questions about art and morality. Here's her review of "Self-Portrait With Boy." MAUREEN CORRIGAN, BYLINE: The classic coming-to-New-York story was a mash-up of a few pleasurably predictable elements - a young person with dreams bigger than his or her bank account, a few roach-ridden apartments and crummy jobs, some eccentric friends and neighbors and a couple of requisite hard knocks before success. But those "La Boheme" days are over in the Big Apple. Manhattan and even the outer boroughs are too expensive now to make room for poor dreamers, which is no doubt one of the reasons why Rachel Lyon sets her coming to New York novel in 1991 when it was still just possible for an aspiring artist to luck into a derelict but light-filled loft in Brooklyn and stumble along until the city noticed her. Lyon's striking debut novel is called "Self-Portrait With Boy." And though it looks backward to the end of an era in New York, it's not at all nostalgic. Think the tough tone of something like Rachel Kushner's New York, Italian art and politics novel, "The Flamethrowers" or Olivia Laing's atmospheric nonfiction book about New York, "The Lonely City." Lyon's heroine, a young woman named Lu Rile who's just graduated from art school, is a bit like plain Jane Eyre minus the moral compass. Lu is a loner who arrives in the city without money or connections or the charm to make them. She's a woman who wears steel-toed boots and cuts her own coarse, black hair. When she enters artsy gatherings, she imagines the beautiful people there glancing at her and saying, oh, that thing in the corner - isn't that funny? It thinks it's people. To make ends meet, Lu works three minimum-wage jobs, one at a health food store that she's shoplifts from to keep body and soul together. The other thing Lu is hungry for is her art. She's a photographer. In her loft in a crumbling factory building near the Brooklyn Bridge, Lu takes a self-portrait a day. When the novel opens, she's about to take No. 400. Inspired by the seagulls swirling outside her windows, Lu decides to take a picture of herself naked and jumping up. She sets up her tripod and begins jumping. After 10 or 12 takes, she captures herself at the exact apex of her leap into the air. But she also captures something else. Here's one of the many descriptions Lu gives of the photograph that results. (Reading) There was the sky behind the windows, its smooth, blue gradient. There was my own pale body floating ghostlike above the floor mid-leap, translucent, caught in blur. There on the left in the middle of the window balancing the composition was a vertical streak, a perfect counterpoint to the horizontal one that was my body. That vertical streak turns out to be the 9-year-old son of Lu's upstairs neighbors, a boy full of manic energy who ran up to the roof that afternoon and either slipped or jumped. His image, as Lu says, makes the composition of the photograph perfect - falling boy on the left, leaping woman on the right. Lu recognizes that the photograph is great art, a career maker. It's also voyeuristic, obscene. In the course of the next few weeks, she becomes genuinely close with the boy's grieving mother. She also meets a prominent gallery owner through the boy's artist father. A terrible dilemma looms. Actually, we readers already know what Lu will do thanks to a preface in which an older Lu tells us that her career was launched because of that photo. By foreclosing the question of Lu's decision, Lyon avoids the contrived quality built into her plot. Instead the focus here shifts more to Lu's ambition, her tortured rationalizations and the harsh limits of the world she's desperate to climb out of. Above all, as its title suggests, "Self-Portrait With Boy" is a smart novel about the narcissistic ambition that's needed to succeed especially in the art world, especially in New York. Late in the novel, a new friend reassures Lu that she did the right thing in publicly displaying that notorious photo. She tells Lu, (reading) you had to do what scared you most to begin to become yourself. That sounds good until you think about the boy captured in that photo and his parents. And then the artist's hungry claim to remake the world to suit her gimlet-eyed vision collides with an idea of empathy. Empathy doesn't stand a chance. GROSS: Maureen Corrigan teaches literature at Georgetown University. 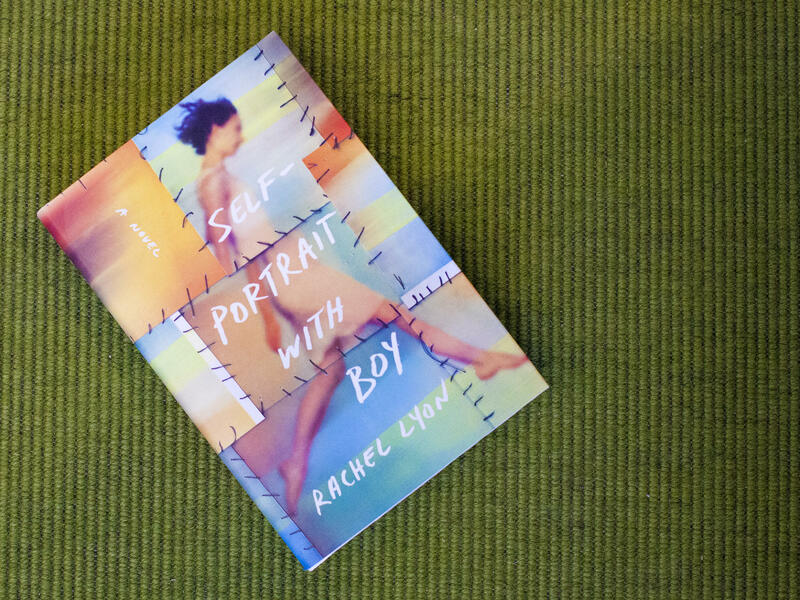 She reviewed "Self-Portrait With Boy" by Rachel Lyon. GROSS: Tomorrow on FRESH AIR, you are being watched. We'll talk about state-of-the-art surveillance from closed-circuit TV to drones and satellites with Robert Draper. His article about surveillance is in National Geographic. We'll also talk about gerrymandering, which he's reported on. He says it's subverted our democracy in ways that Putin himself could never have imagined. I hope you'll join us. (SOUNDBITE OF MISHA MENGELBERG TRIO'S "A BIT NERVOUS") Transcript provided by NPR, Copyright NPR.